My poor little Olivia is just not feeling well. 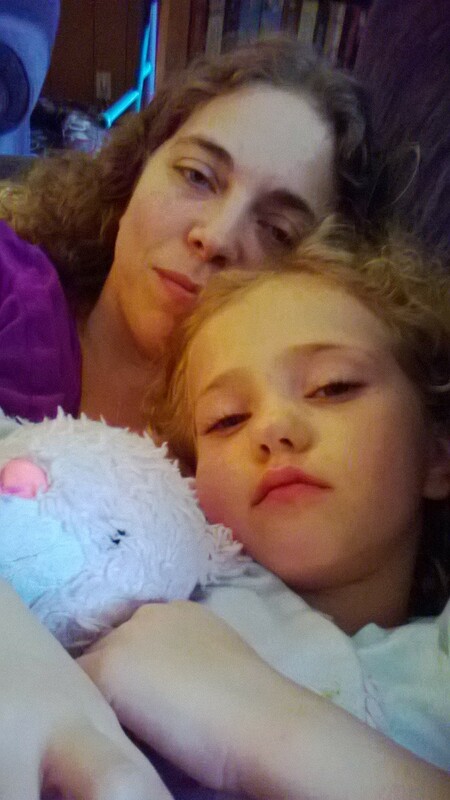 We spent the day snuggling on the couch (in between her throwing up of course). Olivia took this picture of us. 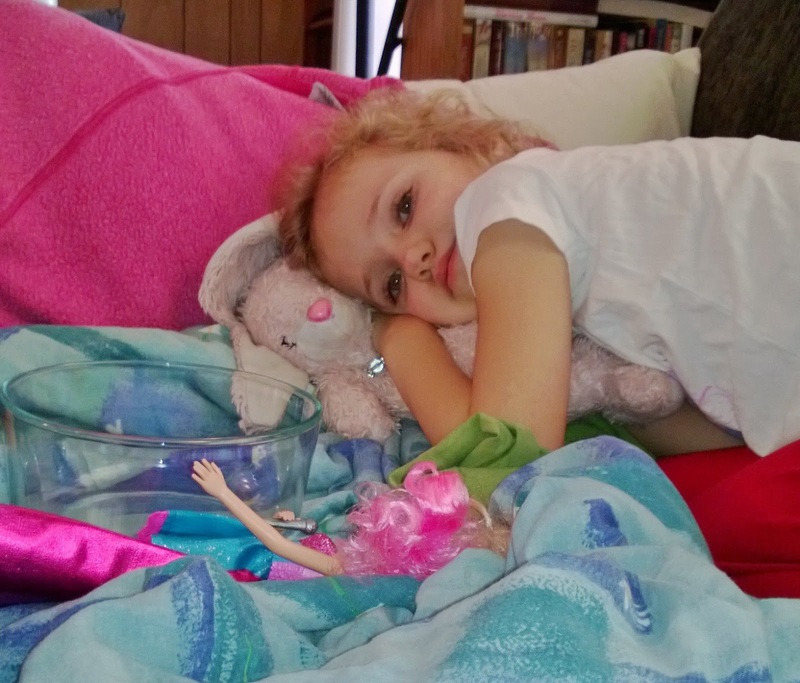 She wanted me to show everyone that we took a nap with bunny today because our tummies hurt.